While Marvel seems to be the champion of superhero movies, they’ve also begun to conquer television. Further expanding the Marvel Cinematic Universe, Marvel has teamed up with Netflix to create four connected series which will culminate in an Avengers-esque miniseries called The Defenders. While the four series, Daredevil, Jessica Jones, Luke Cage, and Iron Fist, are all set in New York City and feature Rosario Dawson’s Claire Temple, it now appears that The Defenders will feature a big tie-in to the Man Without Fear, Daredevil. Marvel has just announced that Daredevil’s showrunners Douglas Petrie and Marco Ramirez are going to return to their roles as showrunners for the upcoming miniseries event The Defenders. This is sure to be a relief for fans of the Marvel/Netflix world, as The Defenders will have people who know and love the Marvel Cinematic Universe helping to make the miniseries a reality. Douglas Petrie and Marco Ramirez’s roles as showrunners for Daredevil originally seemed a bit suspect. Daredevil’s first season was so massively successful that it was almost immediately ordered for a second season. However, things got more complicated as former showrunner Steven S. DeKnight departed from the series after Season 1. Fans of Daredevil worried that new showrunners would fail to capture and duplicate what made the first season so special. Luckily for us, Ramirez and Petrie delivered an action-packed Season 2 that further expanded the world of Daredevil while also calling back to the first season. It appears that the duo’s ability to flesh out the characters of Hell’s Kitchen has paid off, as they’ll be sinking their teeth into all four superheroes for The Defenders. Of course, we’ll have quite some time to wait before The Defenders assemble, as Luke Cage and Iron Fist have to be released before we can see the team up happen. Additionally, Jessica Jones has been renewed for a second season, and timing is unclear as to whether we’ll see Jessica have her sophomore adventure before The Defenders is given to the masses. 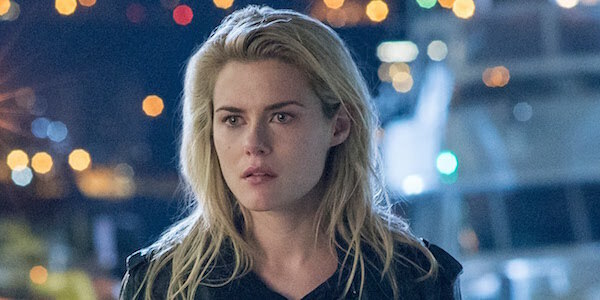 If Jessica Jones’ Season 2 will introduce allies that The Defenders need, such as her friend Trish becoming hero Hellcat, then we might have to wait longer for the action of The Defenders to make sense. Seeing all four superheroes team up to save New York City will presumably be just the crossover that fans of the Netflix shows need. Since it seems almost impossible that Daredevil, Jessica Jones, and the crew will ever appear in a MCU movie, the miniseries will just have to do for now. We’ll continue to update you as more details regarding the various Marvel Netflix series become public. Daredevil Season 1 and 2 are currently streaming on Netflix, as well as the first season of Jessica Jones.